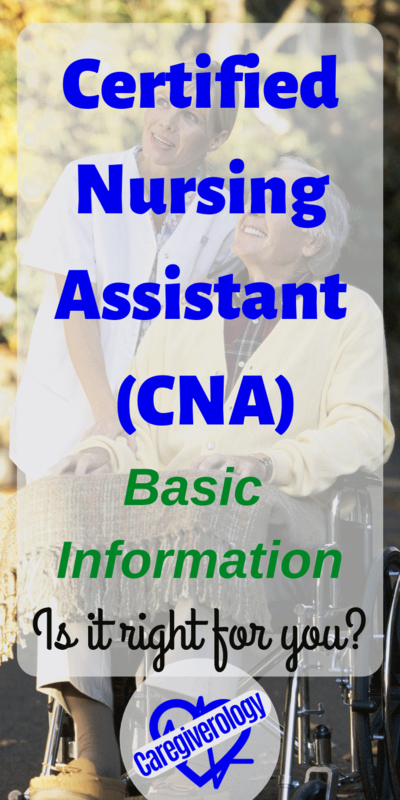 What is a certified nursing assistant (abbreviated as CNA)? Should you become one? What duties do they have to do on the job? I have had quite a bit of experience working as one in a hospital for many years, before I became a registered nurse (RN), so I may be able to shed some light on these questions. A CNA is exactly what it sounds like. It is a caregiver that assists nurses in patient care. If that is the case, how are they any different from nurses? For starters, to become a nurse, much more education and training is required. They are not allowed to do many of the things nurses do but you are able to work with them. The common places they work include hospitals, doctor's offices, and home health aides, as well as long-term care facilities such as nursing homes, assisted living facilities, and senior living homes. There are countless opportunities to work as one almost anywhere you look. At the hospital where I am employed, we are called patient care technicians or PCTs. It means the same exact thing. Some places just have different titles than others for their healthcare workers. 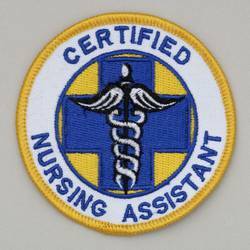 Certified nursing assistants have many caregiver duties that they do. Of course it will be different depending on where you work but in general, you will probably perform these opening and closing steps, check vital signs, give bathroom assistance, and help patients ambulate, etc, all of this while wearing caregiver scrubs and shoes. You will more than likely encounter urine, feces, blood, saliva, vomit, and any other type of bodily fluids you can think of. This is something to think about if you have trouble stomaching such things. You do not want to wrinkle your face or start gagging in front of your patients. It will just make them feel bad for something they can't control. Something else that isn't always talked about very much but will be difficult for many people is post mortem care. I personally was surprised that was in the job title but is something most facilities require CNAs to do. Just understand that everybody passes away eventually and somebody has to care for them. Education to become a certified nursing assistant only takes a few weeks to a few months depending on what program you sign up for. The program I took for my certification only took three weeks. If this sounds a little rushed, it kind of is. There is quite a bit of knowledge to be obtained in such a short amount of time. But then again, I personally learned most of what I know on the job. There is only so much you can learn from booklets and mannequins. Nothing compares to on the job training and experience. It is impossible to fully prepare yourself for what the job entails. I say this not to scare you away from becoming one, but to inform you that it is not a job for someone looking for an easy buck. This type of work requires more dedication than you can imagine. If all you want is to get paid and get out, you should look elsewhere. A certified nursing assistant on average gets paid slightly above minimum wage. Many people tend to believe that isn't enough for the kind of work they do. If you are looking for easy money, this isn't it. You work for every penny you earn. You also have to look at other benefits besides pay. Many full time jobs as a CNA will have insurance plans, PTO, as well as other benefits. You may also have options of when you work such as working the night shift and/or weekends. Many other jobs are limited on when you can work but healthcare is different since many patients require constant care around the clock. You will also be able to count your work as experience in the medical field. Not only will you be able to put your experience on a caregiver resume and talk about it during an interview, it will also familiarize you with working in the field. This in turn will help you determine whether this is a field you want to pursue and possibly educate yourself further into. It has shown me that I want to become a nurse which is what I am currently going to school for. I know that once I graduate, I am almost guaranteed a nursing job since I already have so much experience in the field. Plus the increase of the aging baby boomers means the demand is just going to steadily increase over the next few years. As a certified nursing assistant, the patients you will be caring for need compassion and understanding. They may be going through the toughest point in their life. They may even be dying. Even if their condition seems insignificant in your eyes, you should still treat them as well as you would treat a patient on their deathbed. Never judge any of your patients. You really don't know what they are going through. Even if they are physically okay, they may not be emotionally. There could be things going on in their life that you couldn't even begin to understand. Some patients handle pain better than others as well. Pain is hard to measure because it affects everybody differently. Just because one patient is able to handle a specific procedure with ease while another patient feels it is almost unbearable doesn't necessarily mean they are being dramatic or seeking attention. You also have to make sure you are going to be a confident caregiver and are not going to fall into caregiver depression or let stress get the best of you. These are easy traps to fall into so be mindful. You have to prepare yourself mentally for what comes with this kind of work. Above all, in order to become a successful certified nursing assistant, your heart needs to be in it. There are other jobs out there that require less work with better pay, but many of them aren't nearly as rewarding. This kind of work really makes a difference not only for your patients, but for their families and friends as well.